Lock in a great price for La Maison del Sole – rated 9 by recent guests! The Owner Pietro. Wonderful man very helpful. A real gentleman who makes you feel like family. Nice sense of humour of the host. House is nicely decorated. 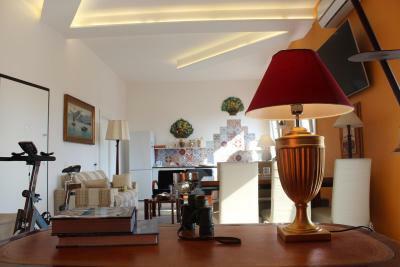 Pietro place feels like home, very warm and welcoming and the location is perfect, a short walkable distance from main monouments & sites such as: quattro canti, corso vittorio emanuele, cattedrale di palermo &teatro missimo).It is very clean; the view from the room was beautiful. Pietro himself is an amazing person with a sweet soul and lovely smiles. he helped us with the directions and was available all the time...he even agreed for earlier check-in. The stay at his place was convenient & very safe. Surely i will recommend it for my freinds; and in my next visit definitely i'm going to book at Pietro place. Super friendly staff. He recommended some local restaurants that turned out to be really for the locals and very tasty. Clean room and nice shower. 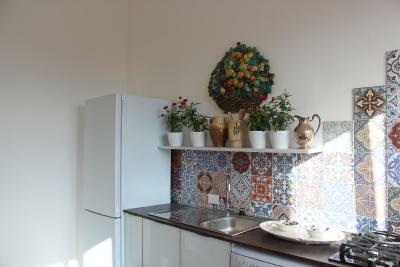 The location is good, walking distance to the main train/bus station. I really liked everything about this property. 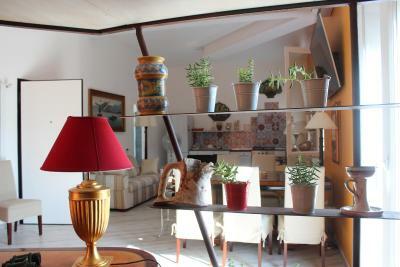 First of all, the location is amazing, you are in the center and can walk to the main attractions of the city in 10-15min. Our room was nice and comfortable and we had an amazing view from the balcony. What we liked the most is Pietro - the dearest owner. He is a really kind and nice person who greeted us with a smile. Host friendly & very helpful. Spacious room & good bathroom facilities. Warm welcome, great central location. Comfortable room. This apartment is very nice .. Located in the historical, old part of the city. On the 6th floor. There is an antique elevator. Fantastic experience. 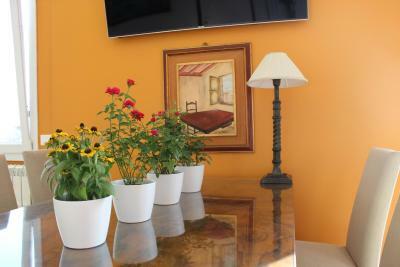 The room was cozy, beautifully furnished, a large comfortable bed, and a new bathroom. Cleaning was every day. Kitchen and dining room stylish. Italian breakfast. 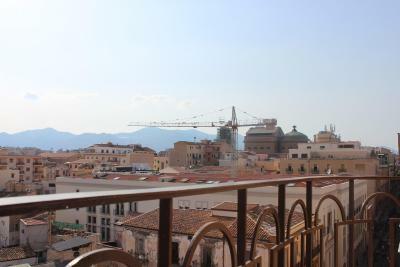 The terrace was a wonderful, breathtaking view of Palermo. Host Pietro is wonderful, nice, with a sense of humor :) Very helpful, caring. I'm gonna return there for sure. Pietro, the host, was very nice, very kind and recommended us the best places to visit and eat in the Town. 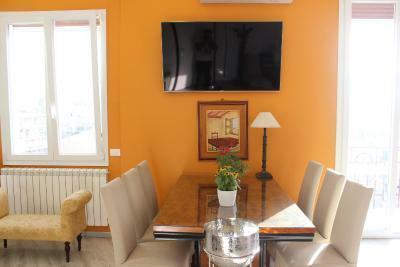 The apartament is very nice, close to the City center and very close to the bus station coming from airport. Also, the view from the apartament was great. One of our best sellers in Palermo! 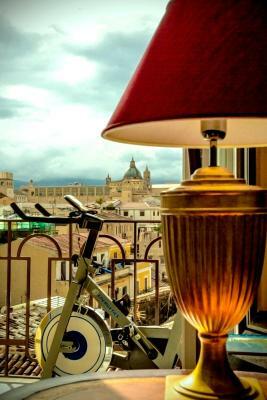 Located a 16-minute walk from Palermo Cathedral and providing free WiFi, La Maison del Sole has accommodations in Palermo. All units feature air conditioning and a flat-screen TV. Some units feature a dining area and/or a balcony. Breakfast is available each morning, and includes buffet and Italian options. Palazzo dei Normanni is one mile from the bed and breakfast. 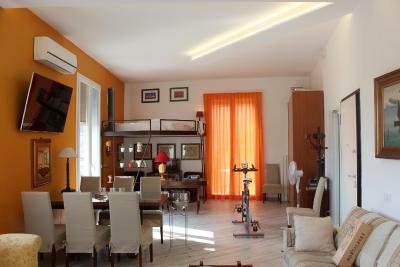 The nearest airport is Falcone-Borsellino Airport, 19 miles from the property. 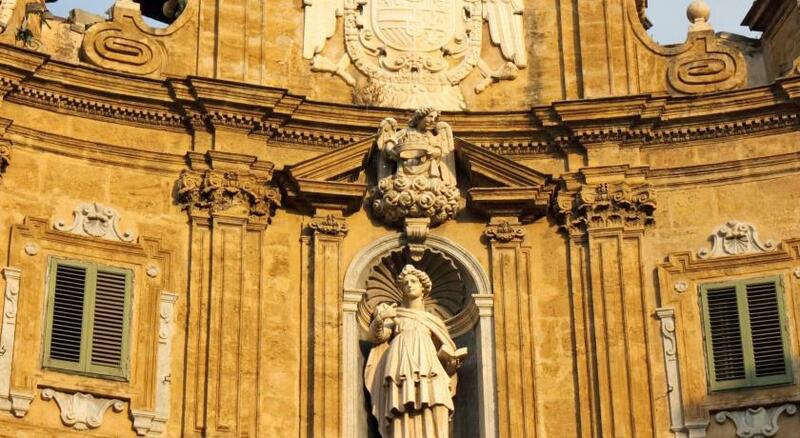 Castellammare Vucciria is a great choice for travelers interested in markets, city walks and old-town exploration. 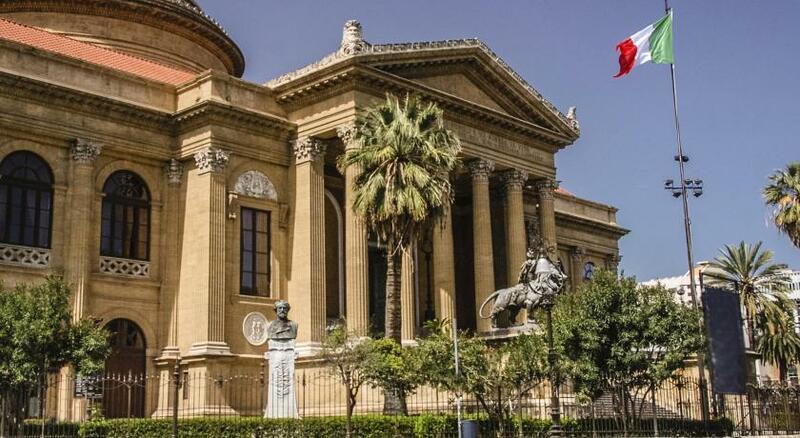 This property also has one of the top-rated locations in Palermo! Guests are happier about it compared to other properties in the area. 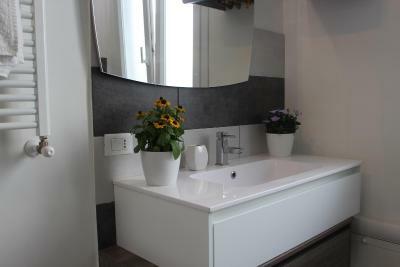 뀐 Located in the top-rated area in Palermo, this property has an excellent location score of 9.7! When would you like to stay at La Maison del Sole? Area Info – This neighborhood is a great choice for travelers interested in markets, city walks and old-town exploration – Check location Excellent location – show map Guests loved walking around the neighborhood! House Rules La Maison del Sole takes special requests – add in the next step! Please inform La Maison del Sole of your expected arrival time in advance. You can use the Special Requests box when booking, or contact the property directly using the contact details in your confirmation. Not enough breakfast options. Floors not clean. Bathroom toothbrush holder not clean. Parking 5 Euro more than expected. Pietro is very nice host! The great place, view, location and service! Bravo! Pietro was very welcoming and nice! 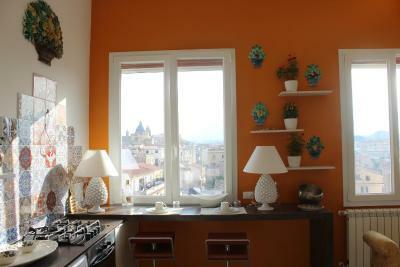 Absolutely the best place we stayed in Sicily and we stayed in three different accommodations during our trip. It's not only new, clean and comfortable it's BEAUTIFUL! 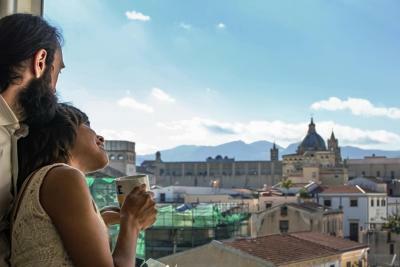 The view of Palermo is absolutely breathtaking! And by the way it was the only place we stayed in Sicily where we didn't have any problems with hot water. Usually you have a boiler with the capacity of 30 or 40 L and when you used it (believe me it's not much to use) you have to wait about 10-15 minutes before you can use hot water again. But here it was a gas boiler with running water so you could use what ever amount you needed! It was a little bit misleading for us that we had to share a bathroom! In the beginning we thought we would have our own bathroom but this happens only for the suite! The heating was low because the heating system is central, resulting to us having a little bit cold! The bathroom is right behind the shared kitchen and that was weird! The breakfast was poor, only cake marmelade and toasted bread! 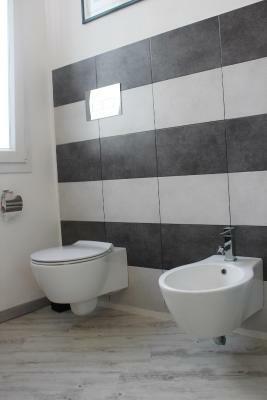 The room had a shared bathroom, which was not specified in the room description. Very nice staff, Pietro gave us a warm welcome and treated us very well. Location is great, right in the center. One of the 2 shared bathrooms was next to the dining room. Inconvenient and somewhat embarrassing to get to the bathroom while people were eating. No bathroom in the room. Pietro is a man full of kindness and hospitality. Thank you, Pietro!